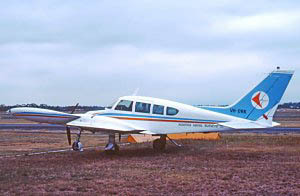 Cessna 320 VH-DRK in East-West colours and Adastra titles in 1977. 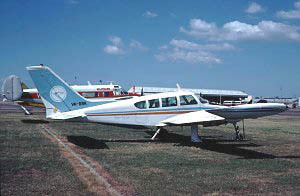 Cessna 320 VH-DRK in East-West colours and QASCO titles at Brisbane on 19th April 1978. 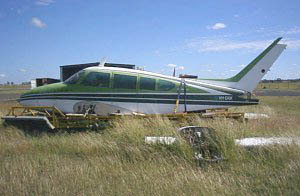 Cessna 320 VH-DRK with Tucana Air Systems at Hamilton, Vic. on 14th January 1989. 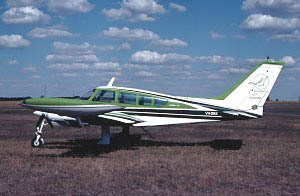 Cessna 320 VH-DRK at Roma, QLD in May 2003.